Designed to get you out of town and take you on an adventure that connects you with friends, music and like minded people in an intimate and inspirational setting. With over 150 of Australia's amazing rock and blues artists performing for three days and nights the calibre of the music is nothing short of incredible! A safe family friendly environment on a private 100 acres. Perfectly located in the heart of Queensland's Sunshine Coast, Mooloolaba Beach offers the perfect year-round climate and is an ideal location for a sporting event, a relaxing family vacation or just a great place to escape to. The relaxing atmosphere of the Sunshine Coast, the friendly people and the endless scenic beauty of Mooloolaba Beach make it a hugely popular destination to visit. 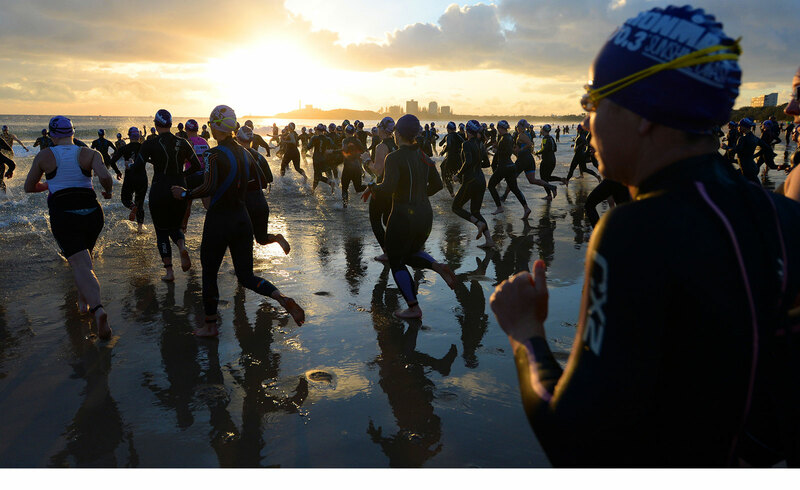 Competitors will take in the best that Mooloolaba has to offer, starting with a swim off the surf beach followed by a flat and fast bike course. The run will tie up the day’s exciting events with a two lap course around Mooloolaba’s Esplanade lined with spectators. Discover more about the course.